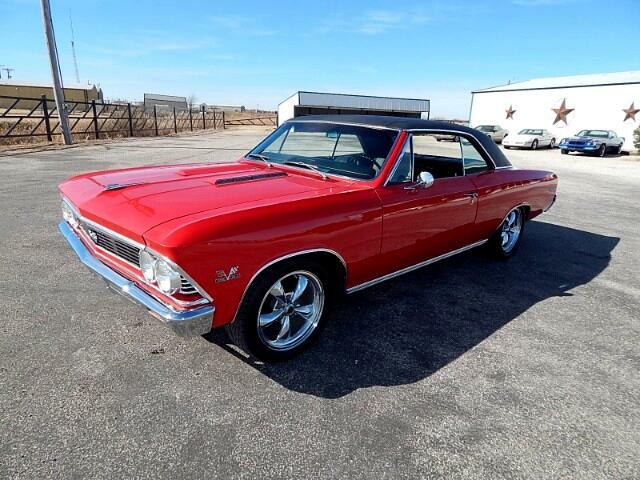 Lone Star Muscle Cars is Proud to present this super nice 1966 Chevelle 396. Powered by a period correct 396 with the Turbo 400 Automatic Transmission Power Brakes, power steering. On the exterior you will see show quality paint with a black vinyl top. Custom Chrome Wheels and more. Bucket seats with floor shiftier. This is a true 138 Code car. Call today. Message: Thought you might be interested in this 1966 Chevrolet Chevelle Malibu SS.